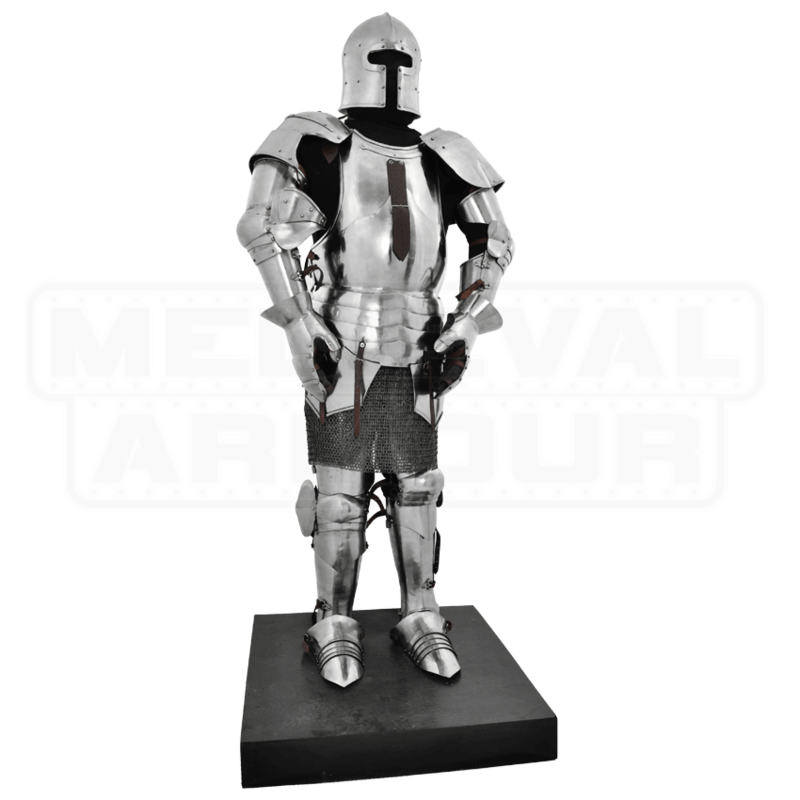 This Milanese full-harness displays the characteristic robust and rounded appearance of armour produced in northern Italy throughout the 15th century. Armour of this type incorporates large and smooth glancing surfaces in its construction, the theory being that these rounded surfaces would help to deflect an opponents weapons. The embossed ridges and fluting that typify armour of the Gothic style are generally absent in Milanese style armour. Other typical Milanese features include mail sabatons (foot protection) and mitten gauntlets. Many of the parts that compose our Milanese armour, including the T-face barbute helm, are based on the Avant armour that is housed in the Kelvingrove Museum, Glasgow. This near-complete harness was made at the Corio workshop in Milan, and dates from around 1440. 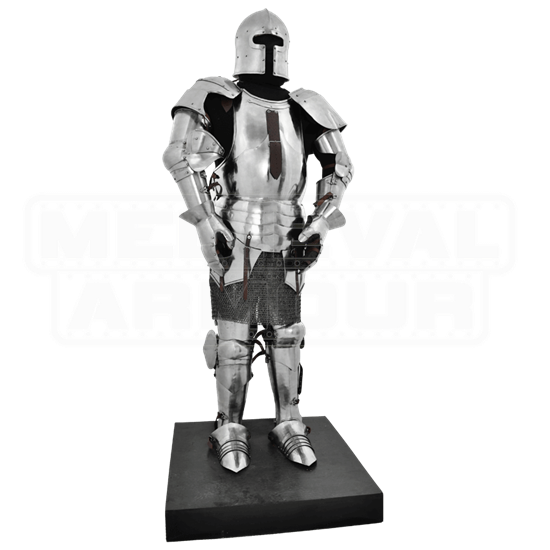 Included with the armour are the mail skirt, standard and voiders pictured, featuring Wedge Rivets and Flat Ring construction. Overall Weight (with base): 188 lbs.